Whether for a family or a business meal, our restaurant Le Westminster de Menton welcomes you in a spacious and bright room. 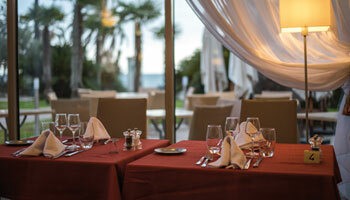 From the terrace you can admire the view of the sea. 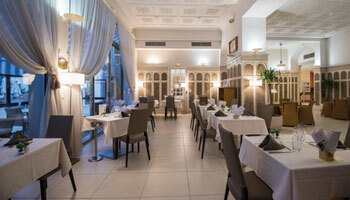 The Côté Jardin restaurant serves dishes, noon and evening, in a typical brasserie atmosphere. Whether you want to have a meal on the go or you prefer to taste gourmet dishes to relish delicately, our restaurant is for you. At Le Banian bar, you will be welcomed in a large indoor and outdoor dining room. 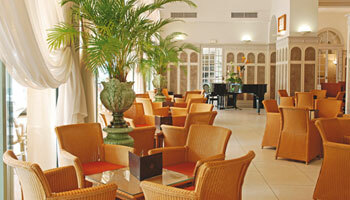 You can consume fresh and fruity drinks as well as hot drinks such as our teas and gourmet coffees.